Unlimited park visits for 1 month. 10% off Jewell Pet Food (Newport only). 20% off out of hours events. Online Booking for Day Care. £24 for households with up to 3 dogs. £28 for households of 4+ dogs. Unlimited dog play park visits for 1 month during off-peak times. Valid Monday to Friday (excludes weekends and Bank Holidays) between each centres’ off-peak hours. Newport off-peak times: Monday to Friday (excluding Bank Holidays) between 10:00 AM – 3:00 PM. 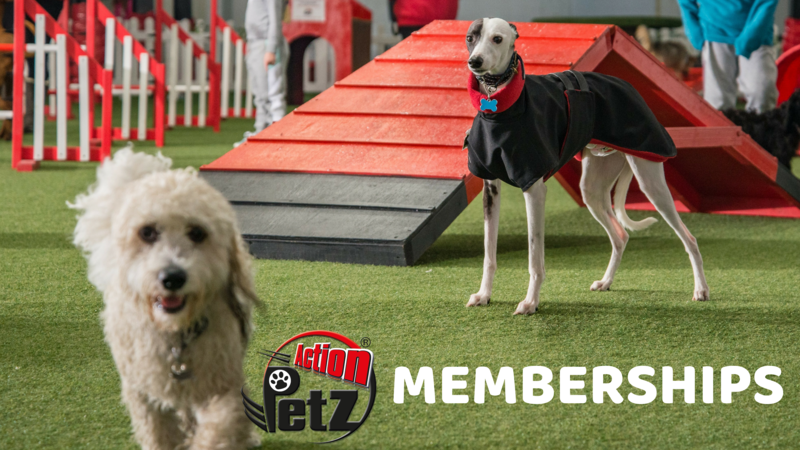 The sign up process will allow you to select your preferred Action Petz centre and register your dog’s details with said centre. You can choose your membership type during your first visit to us. And remember: please bring your dog’s up-to-date vaccination card during your first visit!